People who own smart phones use their phones for so many things like ordering food home delivery, hiring a cab, online shopping, locating addresses etc. The mobile technology is still developing at a rapid speed and with this, there is also an increase in the number of mobile applications, with every developer like you wanting to take your chance at app riches. Apps for the Android mobile operating system have become an important part of everyday lives. For getting the complete benefit through mobile applications, it is important for the businesses and for the users to be aware of the trends in mobile application development. Mobile app developers put in a lot of effort to ensure that the applications are safe for use. Initially, hackers took a lot of advantage of the security gaps in mobile applications and they got hold of the confidential information of the users. Mobile application developers have tried to identify the gaps so that the information provided by the users is kept confidential. With every update mobile app developers are trying to look into the aspects like insecure data and cryptography. There is a tough competition in the mobile application development market and every business wants to launch its app as fast as possible. 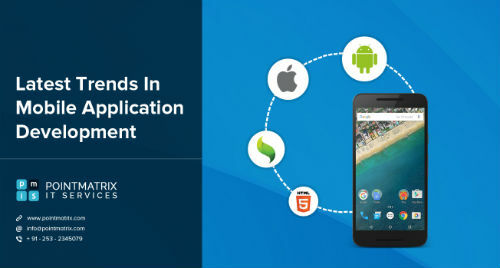 With the help of advanced application development frameworks like Sencha touch application development, the process of developing mobile applications is simplified. Sencha touch provides with a customizable user interface that helps in creating user friendly applications. Better quality is ensured as the drawings are created in the vector format. One of the best advantages of using the Sencha touch / Ext JS technology is that the cost of application development is reduced. Many people now a day’s prefer shopping through the mobile apps, this is known as drop shipping. Before asking yourself, How do I become a drop shipper, consider all security aspects. Making payments through the mobile devices has become a common phenomenon. Therefore the security of mobile apps is extremely important. With the Sencha touch, Ext JS technology, it is possible to create an app that is perfect in all terms and that is safe to use and user friendly. Many large businesses have opted for efficient mobile application development platforms. As a result of this, enterprise app stores have increased and they are in demand. Some of the important enterprise apps include content management systems, automated billing systems, customer support, business intelligence etc. The application stores comprise of internal app ratings that allow the businesses to know which app is more useful. With the increase in the use of mobile applications through smart phones and tablets, the importance of good user experience has also increased. By offering a smooth user experience of the mobile applications, the user engagement of that app can also be enhanced. Application analytics can help to determine the user behavior for any particular application. The mobile application industry is a continuous development platform and many new trends keep coming with time. If you are aware of the latest trends in the mobile application market, you will be able to create efficient mobile applications that will provide a great user experience. As a result of this, you will be able to create loyal users for your mobile application.